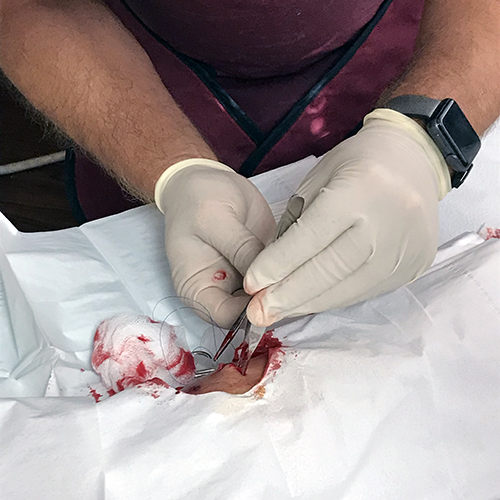 For the most part, we are able to take care of minor and major laceration to the human body that does not involve arterial bleeding. This would help avoid ER, costly procedures and downtime. 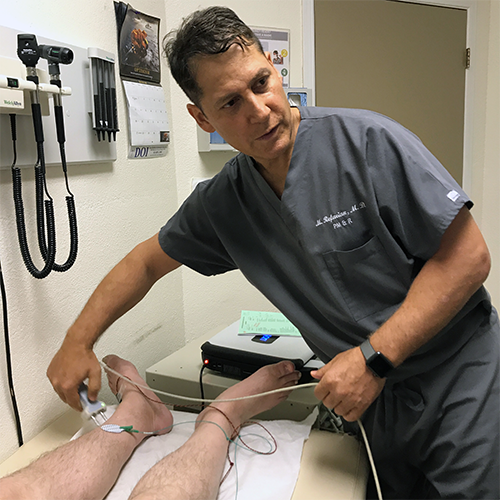 Our physical therapists are knowledgeable in evaluating and treatment of chronic non healing wounds which in turn helps you avoid hospital referrals in many cases. They are used for patients with severe back and neck pain that are not responding to conservative care including physical therapy, medications and activity restrictions. 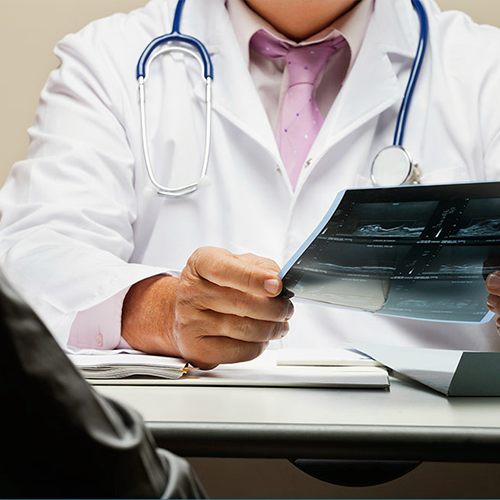 These injections are sophisticated but since we can do them on an outpatient basis, there will be significant cost savings to the patients and to your facility. (PRP) is a treament that relieves pain by promoting long lasting healing of musculoskeletal conditions by re-introducing your own concentrated blood platelets into areas of chronic pain. Stem Cells promote the reparative response of diseased, dysfunctional or injured tissue. 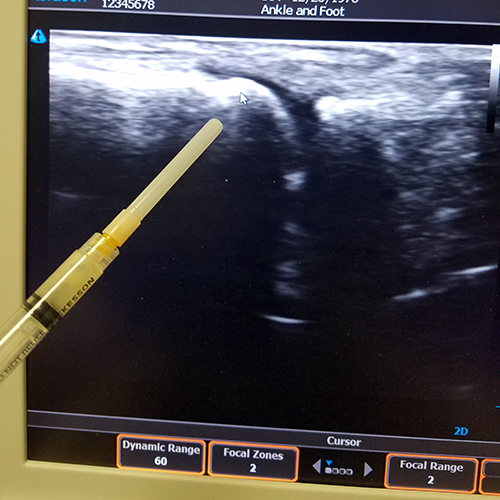 It is helpful to look at tendons and soft tissue for diagnostic purposes and needle ultrasound guided injections to make sure your needle is close to the pathologic site to get the maximum benefit from your procedure. We are pleased to have this state of the art Ultrasound machine available at our clinic. For diagnosis of various nerve damage in the body. 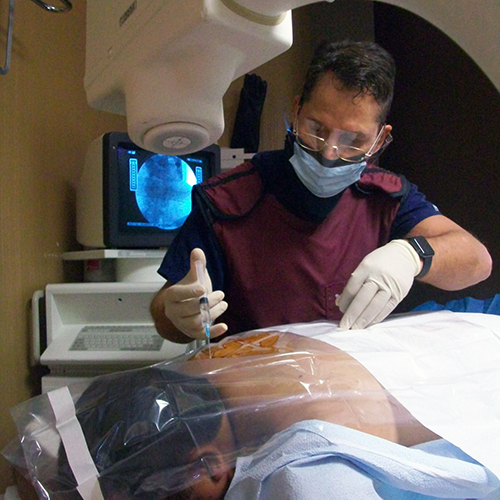 It can scan most nerves in the body to get the accurate diagnosis and duration of the problem. For instance, if someone comes in with numbness in the hands after getting hurt, the EMG/NCV is used to diagnose possible carpal tunnel pathology. This test can tell me how long the patient has had the pathology in most cases. This leads to a prompt and accurate diagnosis of the patient's condition. Required medical evaluations and independent medical evaluations.